Stakeholders in the sugar industry have called upon the government to launch investigations including a forensic audit in the sugar companies to ascertain how hundreds of unskilled workers from India and Pakistan accessed work permits that enabled them secure jobs in the sugar sector mostly in western Kenya. The call came from stakeholders in the sugar sector of the economy who are indignant that Kenyan workers feel frustrated due to the fact that all the important staff jobs are in the grip of foreigners mainly Indians and Pakistanis. The stakeholders want the government to launch a head count on foreigners, and if possible, punish those who are said to have recklessly and corruptly issued them with work permits. It is being alleged that as many as 300 unskilled workers recruited through illegally established labuor agencies, most of them operating within several Indian Temples in Kisumu, Nairobi and Mombasa were recruited and issued with work permits at an exorbitant prices ranging from Sh100,000 and Sh150,000. The worst affected in the scam are sugar companies in which the investors and entrepreneurs are Indians. This is under the category of sugar mills that include West Kenya Sugar Company, Butali in Kakamega and Trans-Mara Sugar Company in Narok. These expatriate workers are engaged in petty jobs, such as junior clerks, time keepers, sweepers, messengers, account clerks, welders, fitters, mechanics, electricians, cane yard clerks and even cooks specialised in cooking Indian cuisines for the expatriates. The foreigners earn better salaries than the local despite of the latter holding better academic and professional qualifications. These unskilled expatriate workers earns 10 times better salaries than the local African workers. Their salary scales range from Sh25,000 and Sh80,000. But they take the whole package home neatly without being subjected to mandatory deductions such as NSSF and NIHF. The highest paid Kenyan may be taking home between Sh15,000 and Sh20,000 with exception of engineers and sugar quality controllers. But the natives are forced to work only as casuals despite their qualification and never issued with any appointment letter. 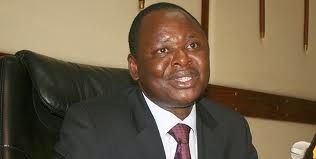 The discontent came afresh in the wake of a damning report compiled by the CID saying the government is probing the former Immigration and Registration of Persons minister Otieno Kajwang’ over the matter. Available statistics show that two sugar mills owned by Indians which are located in Kakamea county could have as many as 70 foreign expatriate workers in the establishment. They are Butali and West Kenya Sugar companies, whereas Kibos Sugar an Allied Industry which is located near Kisumu town has the largest number of Indian and Pakistani workers at about 49. The situation is the same at the Ndhiwa-based Sukari Industry where 34 foreign workers are employed at the Narok-based Trans-Mara Sugar Company. The latest complaints by three stakeholders came about in the wake of newspaper reports last week that the state is probing Kajwang’ over the alleged irregular issuance of citizenship to foreigners. The report which was compiled by CID officers dates back to 2005. Out of 104 cases, Kajwang’ is reported to have handled 60, Konchellah handled 34 while Jebii Kilimo handled 10. They once were in charge of the immigration docket. In most of the cases, the former ministers granted citizenship to foreigners without due process. In 12 of the cases, there was no proof of marriage while in 10 other cases; certificates were forged with observations and recommendations made by the security vetting report and citizen advisory committee falsified. In 19 cases, there was no proof of Kenyan parenthood. Between 2005 and 2010 there were over 5,000 people who obtained Kenya citizenship of whom a majority were Indian and the reminders Pakistanis, Somalis and Tanzanians, the report states.